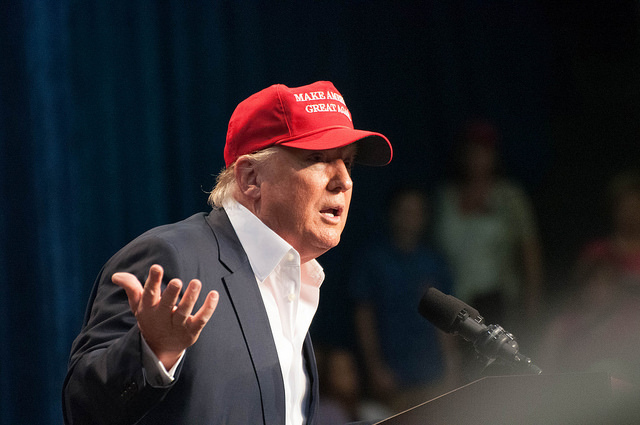 The President of the United States represents ALL Americans, not only those who voted for him, which is why I’ll be attending Donald J. Trump’s presidential inauguration on Jan. 20, 2017. With all the protesting happening around the country and planned protests in Washington, D.C. during the inauguration, family and friends have asked me to reconsider my trip. As of this writing, it’s full steam ahead. I’m in to help move the country forward and together and what better way to do it than attending the inauguration? Despite visiting D.C. many times, including visiting over Independence Day (twice), there are still many things I have not done. I have requested a tour of the White House from my representative, although I doubt I’ll be able to do this. As a backup plan, I’m planning to visit the National World War II Memorial and National Museum of African American History & Culture. If there’s time, I’ll be making a return visit to the Newseum. Based on experience from attending both President Barack Obama’s inaugurations, the museums will be packed because many are free (such as the Smithsonian museums); offer a warm, dry spot in the case of cold or inclement weather; and have clean restrooms which are much nicer to use than a cold portable toilet. 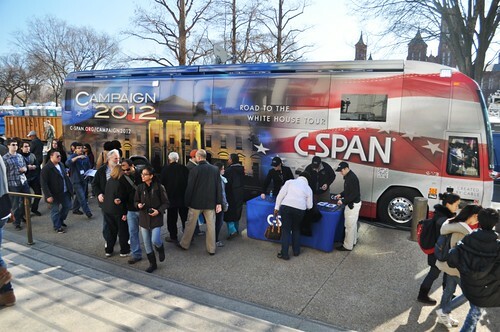 I plan to walk the National Mall the day before the presidential inauguration to take in the patriotic festivities. During Obama’s first inauguration, I heard Yo-Yo Ma rehearse the day before at the U.S. Capitol Building and attended the free Obama Inaugural Celebration at the Lincoln Memorial with A-list performers as U2, Bruce Springsteen and James Taylor. 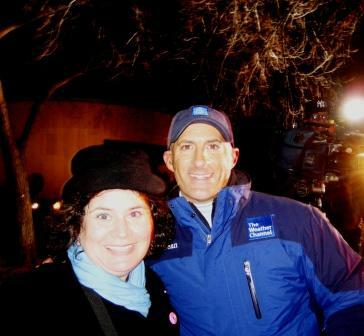 I also saw many newscasters broadcasting live including my fave, Jim Cantore from the Weather Channel and Anderson Cooper. If none of the above pans out, I’ll refer to this list of 100 free and almost free things to do in Washington, D.C.
President Barack Obama’s Presidential Inauguration in 2009. 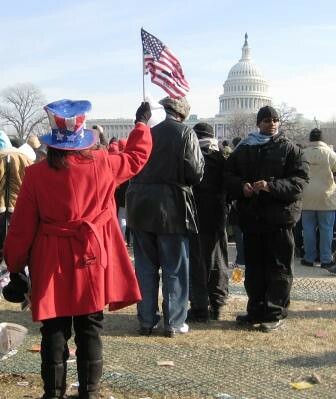 In order to obtain free tickets for the presidential inauguration swearing-in ceremony on the West Lawn of the U.S. Capitol, you need to contact your representative or senator. I’m not even going to bother in trying (because tickets usually go to donors and party members first. My representative and one senator are Republican and I’m not) and plan to soak up the moment in the Mall with the rest of the general public. The swearing-in ceremony is at noon and I plan to be there by 9 a.m.
Ain’t gonna lie. 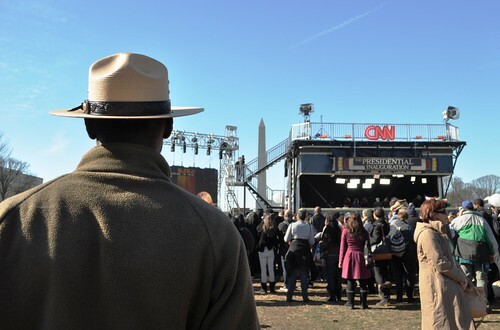 It’s kinda awesome being with thousands of others on the West Lawn to view the presidential swearing-in ceremony but you really can’t see much unless you’re standing on your toes and bring a pair of binoculars. Plus, you’re smushed in with a lot of other people and if you’re one who values personal space, forget about it. Also, if you’re lucky enough to score your free tickets for the swearing-in ceremony, plan for airport-like security and if you’re bringing electronic gear, such as a camera, phone, etc., make sure it works and you inserted the battery. 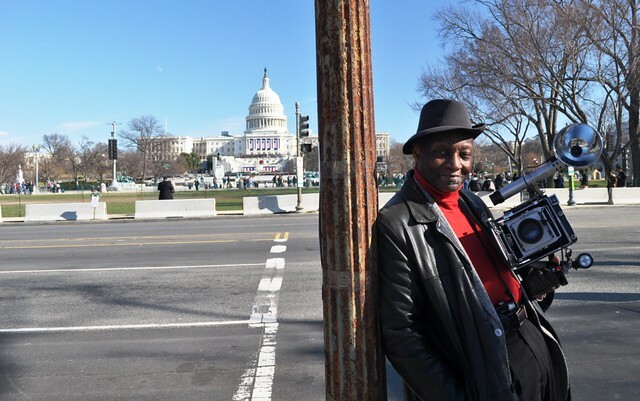 During Obama’s second inauguration, I had to throw away my point-and-shoot Cannon camera because I accidentally left the battery charging in the hotel room. Do I Need to Pack a Fancy Ball Gown and Heels? I have no intention in attending an official presidential inaugural ball. I did that for both of Obama’s inaugurations and while it’s quite cool saying I attended those balls, they weren’t what I expected. After waiting in line for over an hour wearing a ball gown and heels (the first year) in freezing temperatures, I was expecting fancy food, patriotic décor and a sophisticated experience. The 2009 presidential inauguration was a bit fancier than the one in 2013 but I expected something more to eat than pretzels and crackers. I remember women sitting on concrete floors of the Walter E. Washington Convention Center in their fancy ball gowns. 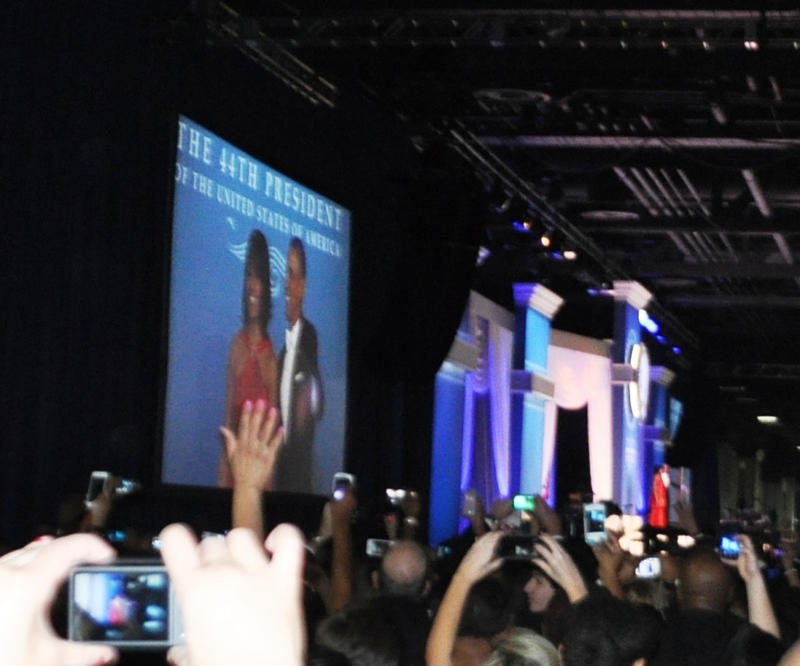 At the time of this blog post, presidential inaugural ball information was not available. In 2009 I paid $125 for a ticket and there were several official presidential inaugural balls. 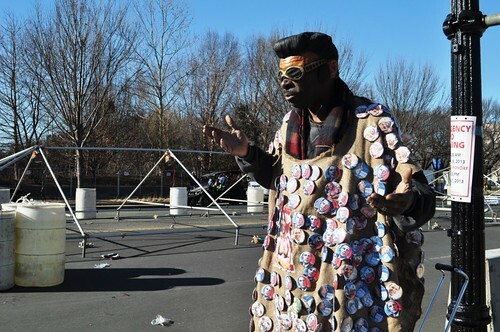 In 2013, due to budget reductions, there were three official balls and guess you can say I attended the “working-man’s ball” because the ticket was $65. Visit the 58th Presidential Inauguration website for updates. But, have to admit, I’ll always remember standing next to Al Franken and trading nods while listening to The (Grateful) Dead during the 2009 Presidential Inauguration and seeing Barack and Michelle Obama and Joe and Jill Biden dance. If you are planning on attending an official inaugural ball, don’t be dumb. Be smart. You’ll probably be waiting in line because there will be airport-like security to enter the facility. D.C. in January is typically cold. I mean, freezing cold. So, wear your boots, warm coat and gloves and check them at the coat check inside. You may want to bring a little bag to place your boots and gloves in. The coat check will be crazy when you arrive and depart (don’t lose your claim ticket!) so be patient. Find a listing of unofficial presidential inaugural balls in this article. 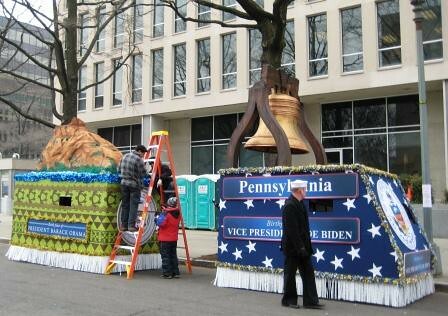 Floats for the Inaugural Parade, 2009. 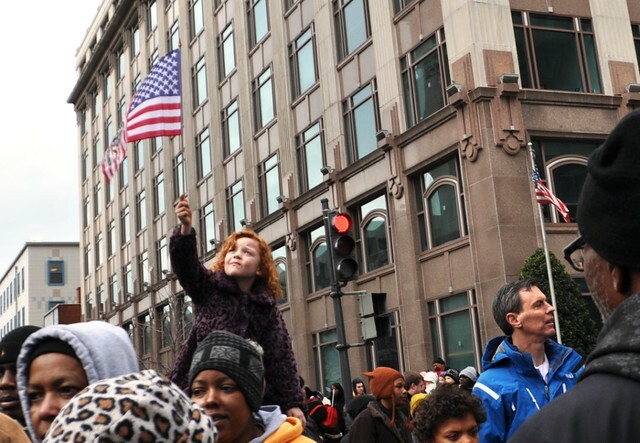 Will They Toss Out Candy at the 2017 Inaugural Parade? I do plan on watching the Inaugural Parade because I didn’t attend President Obama’s parade because I had to prep for the balls. Selected seats can be purchased and reserved but it’s my understanding there are plenty of free places to view the parade along Pennsylvania Avenue from the U.S. Capitol Building to the White House. My strategy is to head to Pennsylvania Avenue along the parade route immediately following the Inaugural Address. Will it be easy getting there? Probably not. 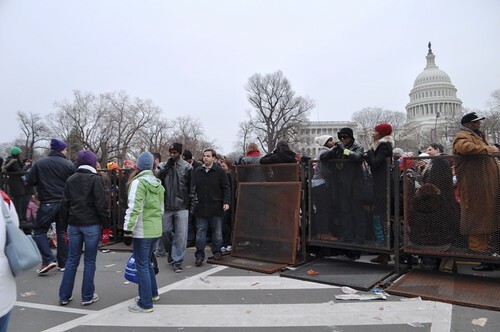 From previous experience, roadways and pathways are blocked off, in fact, during the 2009 Presidential Inauguration, I saw people tearing down chain-linked fences following the Inaugural Address. Here’s a link to a great map with the 2017 Inaugural Parade route. 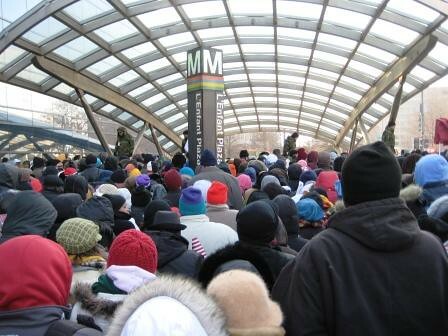 Metro on Day of President Barack Obama’s Inauguration, 2009. I love D.C. because it’s so easy to get around. I’ve brought my bicycle to the city and pedaled around one weekend during the summer. It’s not necessarily ideal to pedal a bike in January but that’s why there’s the Metro. I’m flying into Regan National Airport and booked a hotel near a Metro stop. This will make it economical and easy to get around. I understand that beginning in mid-December, a limited supply of SmarTrip® cards marking the inauguration will be available for $10. At a 30 percent savings, it will be pre-loaded with a one-day pass for unlimited Metrobus and Metrorail rides on Inauguration Day. The card can be loaded with additional funds to for travel pre and post inauguration. I’m keeping an eye on the D.C. Metro website and will order my card prior to my trip, that way I don’t need to mess with it upon landing. Metro stations near the inauguration include the Archives-Navy Memorial-Penn Quarter (Yellow and Green Lines), Federal Triangle (Orange, Blue & Silver lines), and Smithsonian (Orange, Blue and Silver lines). If you plan on driving, don’t. Just don’t. It’s not worth it because so many roadways will be closed and parking will be at a premium. If you’re driving, leave your car parked at the hotel and take the Metro. Although I won’t be packing a ball gown for the presidential inauguration, I will be packing my warmest clothing. This Florida gal has Buffalo roots and know a thing or two about dressing for the cold. My faithful Uggs boots will keep my feet warm while I’ll be wearing thermal underwear, wool sweater, wool coat, a head covering, gloves and my wool mittens. I’ll also be bringing several power banks for my iPhone, although I’m not sure if I’ll have cell service to share updates on social media (I haven’t had much luck during either inaugurations or the Rally to Restore Sanity in 2010). In regards to cameras, I’ll have three, a Cannon point-and-shoot, my Nikon with zoom lens and my Sony Alpha mirrorless camera (which I love). And, I’ll be bringing plenty of cash to pick up fun, patriotic souvenirs. 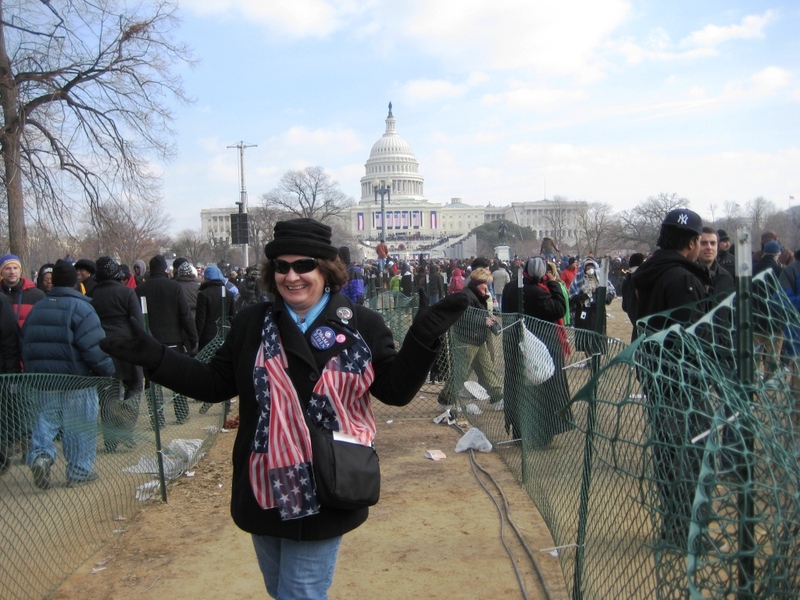 I saw everything from earrings to buttons to trailer hitch covers during Obama’s inaugurations. I love patriotic stuff plus, I know friends will want mementos, too. 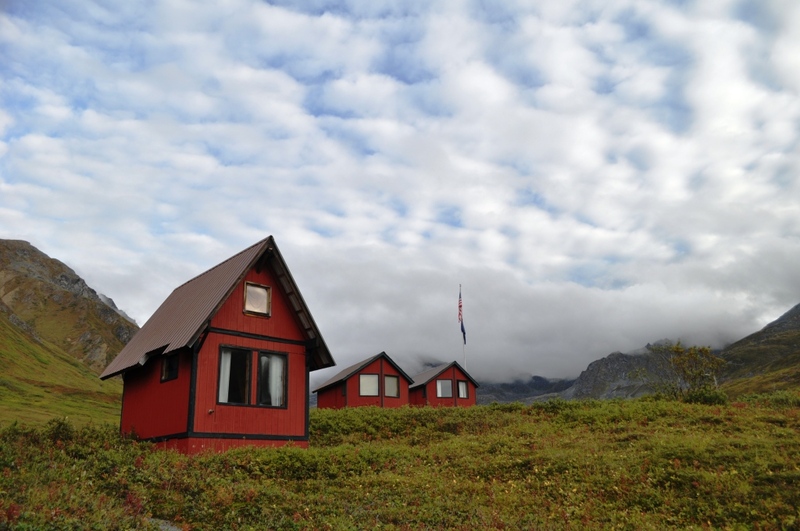 I secured accommodations in August for a three-night stay, vowing I would attend no matter who was elected. Remember, the president now represents all the American people. Unfortunately, my budget is not allowing me to stay in the Washington, D.C., but I’m staying near the Metro in Maryland, so all will be good. 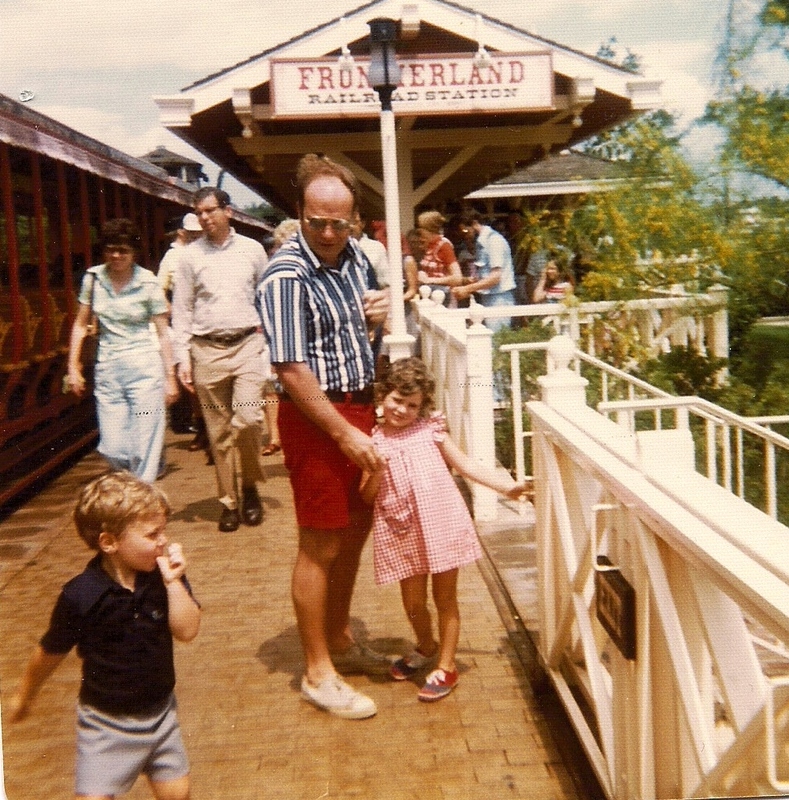 Actually, it may be better because I’ll probably be guaranteed a seat riding into D.C. I booked my airfare the end of October. 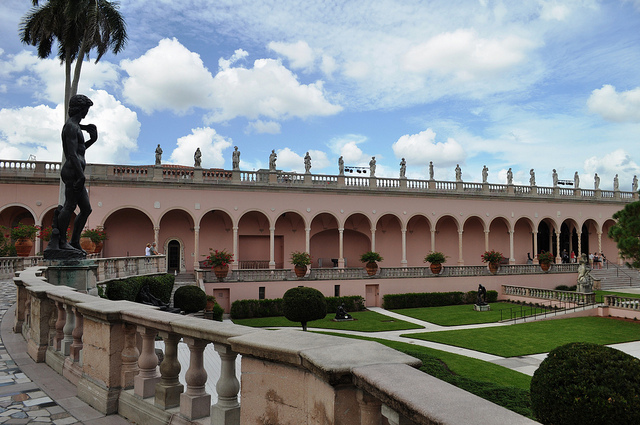 My roundtrip airfare from Southwest Florida International Airport into D.C. was less than $200 – score! This was less expensive, and quicker, than taking the train from Orlando to D.C.
I’ve kept my personal political beliefs intentionally out of this post as I firmly believe we need to come together and move forward in order to heal and be successful as a nation. I’m not turning a blind eye to what is or will happen with the Trump administration but I respect the office of the president and am looking forward to celebrating a new chapter with my fellow Americans on inauguration day. Added Feb. 5, 2017: Link to images I snapped during President Donald Trump’s inauguration. Official 58th Presidential Inauguration website. Guide to the 2017 Presidential Inauguration from Destination D.C. Frequently Asked Questions about the Inauguration Day from Destination D.C.
Presidential Inauguration 2017: Events in Washington, D.C. from About.com. Disclosure: This post contains affiliate links to support my traveling habit and maintaining this blog. #MERICA. I found your site because we are heading to the inauguration from our hometown of Buffalo, NY. 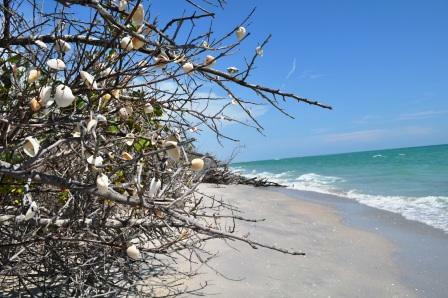 I love your info and I was so pleasantly surprised to find that you too are a native Buffalonian. Thanks for sharing! God Bless! Hope you had a fantastic trip to Washington, D.C., and the inauguration.